Are you overwhelmed when you think about all the things that you need to change? You can't change everything all at once. The best thing to do is take baby steps. Pick one or two areas and work on those. Then add another. Then another. In time they'll add up to a big improvement in the health of your home and of you and your family. I'm going to share with you some of the baby steps I've taken in recent months to make my home greener and healthier. They're all things that I have tried myself and that I recommend. They're going to make you and your family healthier. 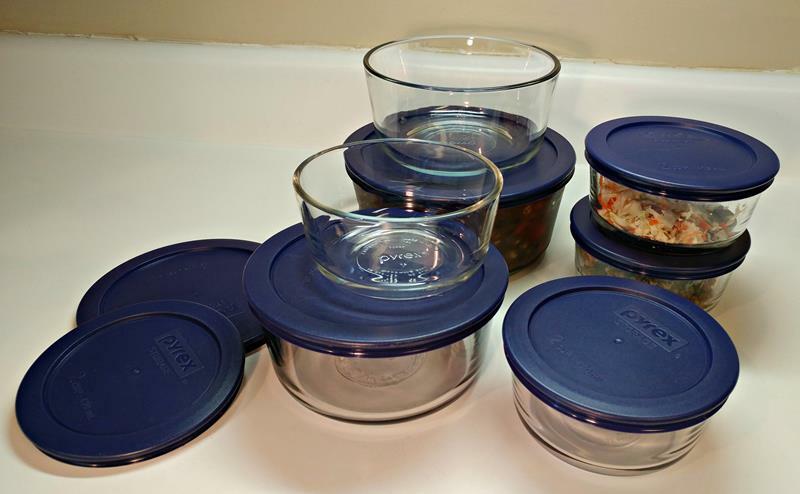 Plastic containers can leach harmful chemicals into your food. Some of the newer plastics are not as bad as the old ones, but I still want to use them as little as possible. I love them because they're heavy and strong, and I like that they're clear so I can see the contents. You can put them in the oven or microwave, and you can freeze them. They do have plastic lids, but they are BPA free and generally don't touch the food, anyway. The lids are nice and stay on tight. They are microwaveable, but I don't use them in the microwave. I prefer to use wax paper to cover foods in the microwave. You can put the lids in the dishwasher, but I don't because I think they stay in better shape if you hand wash them. Along with plastic containers, I'm trying to cut back on my use of plastic wrap. Most plastic wrap contains LDPE, which is an endocrine disruptor. It also ends up in the trash, and that's bad for the environment. It's made of organic cotton cloth embedded with beeswax, jojoba oil and tree resin. You can use it to cover a container or wrap it around food. You use the warmth from your hands to form it how ever you want it. It seals quite well. After using it, you just wash it with cool soapy water and let it air dry. You can use it over and over again for about a year. 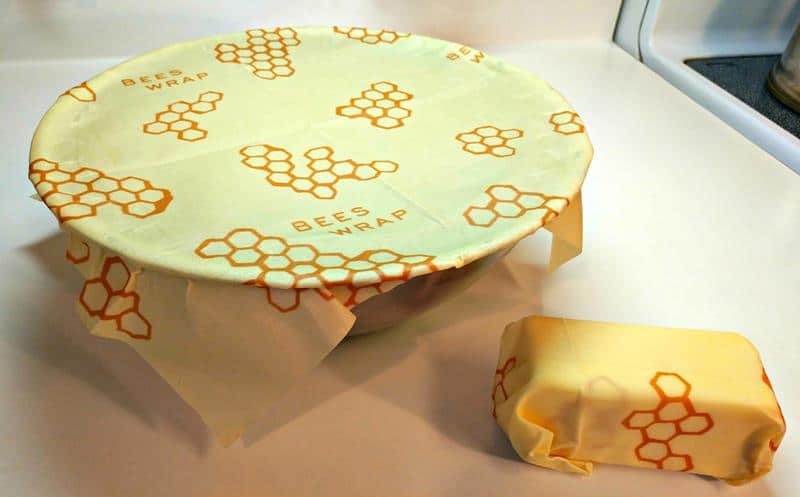 Bees Wrap comes in 6 different sizes and in different designs. At first I was skeptical of homemade cleaners. I found it hard to believe that they could do as good a job as commercial cleaners. In most cases, they actually out-perform the stuff you buy at the store. They don't knock you over with noxious fumes, and they don't hurt your skin. And they really save you a lot of money. 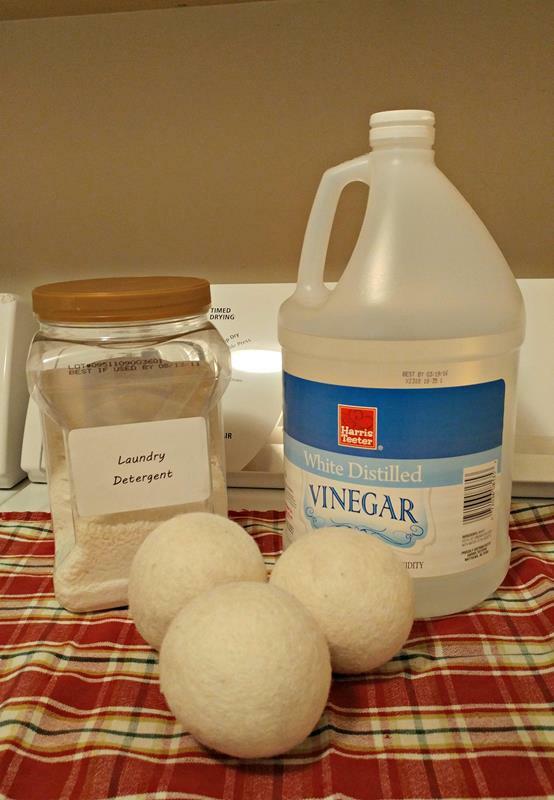 I've tried out lots of different recipes for homemade cleaners. Here are two of my favorites. This Non-Toxic Glass Stove Top Cleaner, from The Turquoise Home, is made of three simple ingredients and works like a charm. It's far better than the commercial glass stove top cleaner that came with my stove top, and it's 100% non-toxic. Note: the recipe calls for Citrus Fresh oil (check availability and price at Amazon here), but you can substitute any citrus oil because they are great degreasers. I use lemon, myself. 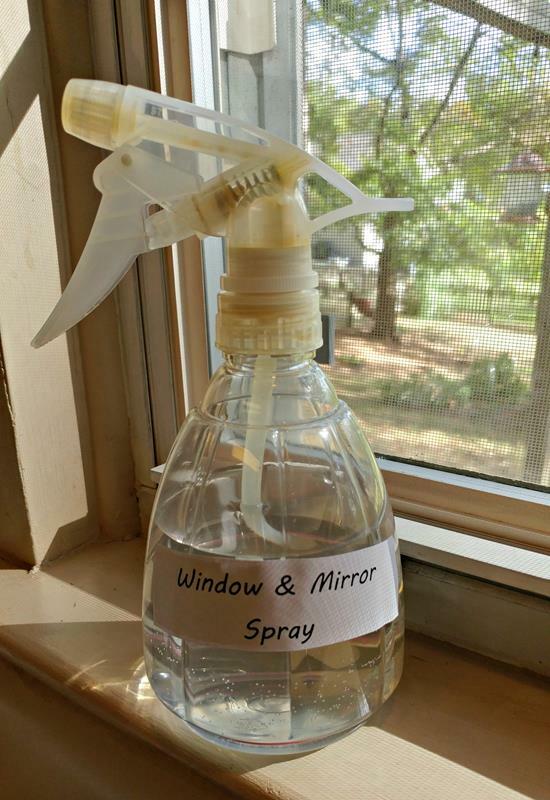 I'm totally in love with Clean Mama's Window + Mirror Cleaning Spray, and I'm amazed by how well it works. It leaves the glass sparkling clean with no smearing, and it doesn't make me choke when I use it. I will never go back to store-bought window cleaners! Note: It's best to use a microfiber glass cleaning cloth with this spray. If you'd like more ideas for non-toxic cleaners, see my post How to Make Homemade Cleaners with Lemon Essential Oil. Laundry products are full of hazardous chemicals. Some have even been identified as carcinogens. So I've switched out three items in my laundry for healthier options. Those are the detergent, liquid fabric softener, and dryer sheets. I only tried one detergent recipe, and I was so happy with it that I never bothered to try any others. I went with the dry detergent because the liquid ones sounded like too much of a mess. Here's the recipe I use: Homemade HE Laundry Detergent Recipe from Wellness Mama. It's called "HE" (high efficiency), but that just means that it's safe for a high efficiency machine. I use it in my top-loading washing machine, and I only use 2 tablespoons of detergent for a large load. And by the way, the bar soap I use is Kirk's Original Coco Castile (click here to check availability and price at Amazon), and I grate it using my Cuisinart food processor. I ordered all the ingredients from Walmart and picked them up at the store. That saved me a lot of running around. Instead of fabric softener, I use distilled white vinegar. I put 1/2 cup in a Downy fabric softener ball and toss it in at the beginning of the wash cycle. I actually only use it with my whites and towels (which are all white). You never want to use fabric softener on towels because it makes them less absorbent. That's the whole reason for having towels, right? But if you don't use any kind of rinse, your towels can turn out stiff. That's because of the soap residue that's left behind on the towels. Well, the vinegar in the rinse gets rid of the soap residue, so your towels turn out soft and clean. And by the way, I've never had a problem with the laundry smelling like pickles. If you use the right amount of vinegar, it should't leave a smell behind. 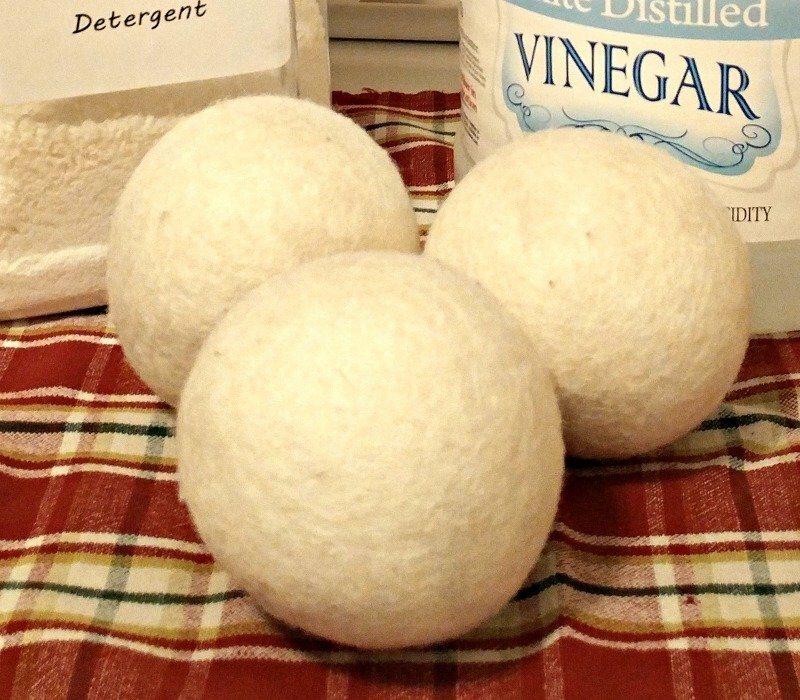 Another cool eco-friendly laundry tool I use is wool dryer balls (check availability at Amazon here). You just put 2 or 3 in the dryer with your laundry instead of dryer sheets. They reduce static, they speed up the drying time, and they make your clothes turn out soft and smooth. I'm not quite sure why they work, but they do. Maybe it's magic! If you want to add some fragrance, put a few drops of your favorite essential oil on the balls before you start each load. I like to use lavender. It was a sad day when I learned that all those lovely scented candles and wax melts I was using to make my home smell wonderful were actually polluting the indoor air. And canned "air fresheners" aren't any better. They may as well be called "air polluters" because they're just spewing toxic chemicals into the air. I love having my house smell good, but not at the expense of good health. So what's a fragrance lover to do? Essential oils to the rescue! Not only do essential oils smell good, but they can actually make the air healthier to breathe. 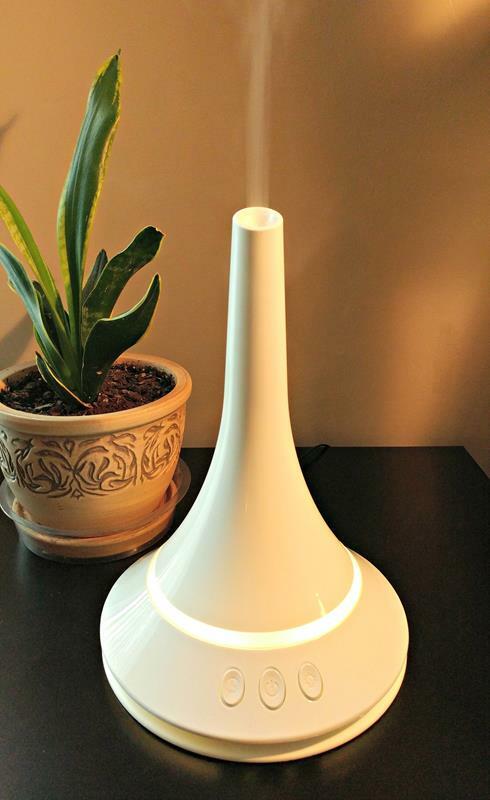 You just add water and a few drops of oil to the diffuser, and it dispenses a fine mist into the air. My favorite oil for diffusing is Purification (check availability and price at Amazon here) by Young Living. It neutralizes odors and has a fresh fragrance that I love. So there you have it. None of these suggestions cost a lot of money, and they're easy for anyone to do. There are lots of other great ideas that I could share, but this should be enough to get you started. Have fun and remember - one baby step at a time! Have you tried any of these? Or do you have any other favorite simple steps to going green at home? Let us hear about it in the comments. This post was featured on the Healthy Living Link Party #82.